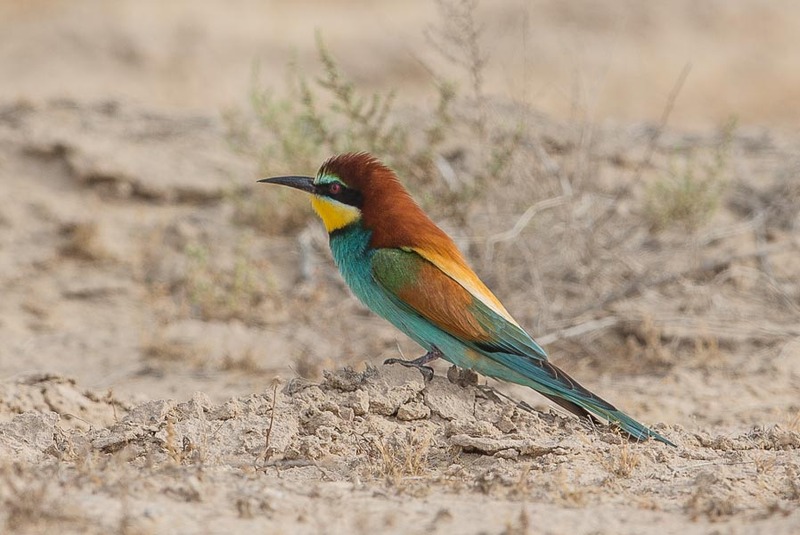 Our last trip to Sabkhat Al Fasl was a very good one with plenty of migrants about including a number of very colourful birds. 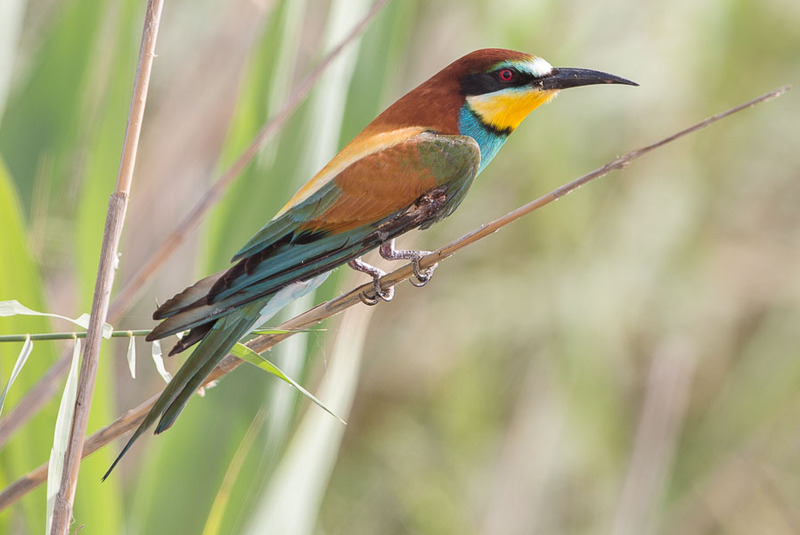 A couple of them I had not seen before this spring and these included European Roller and Blue-cheeked Bee-eater. 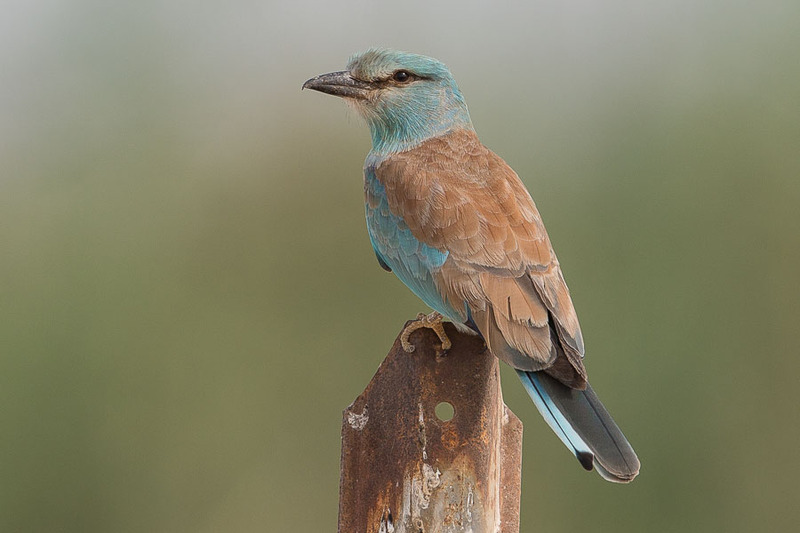 European Roller is an uncommon spring and autumn migrant with the first birds normally arriving in mid-April and Blue-cheeked Bee-eater is a common spring migrant and less common autumn migrant with the first birds normally seen in late April so these record fit in nicely with the normal occurrence in the region. 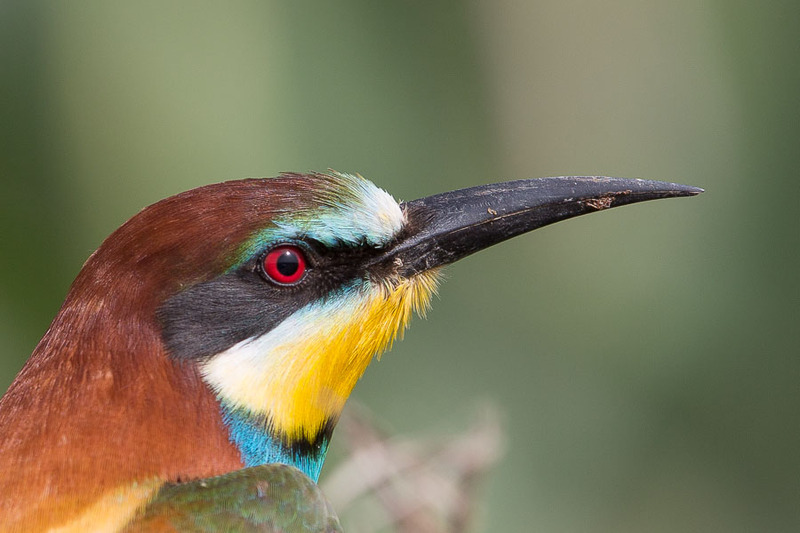 Other colourful birds included European Bee-eaters and Red-backed Shrikes, with one European Bee-eater allowing such close approach that I could not focus my 600mm lens on it without leaning back in the car. The bird appears to have some damage to the wing but was able to fly well and was seen to catch insects so lets hope it will be alright. 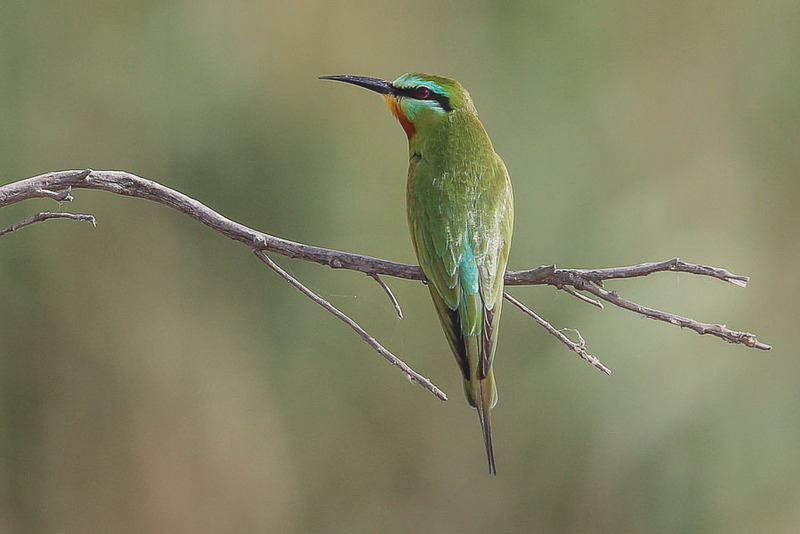 European Bee-eaters were seen at this site last week and the first Red-backed Shrikes, for me at least, were seen in Dhahran yesterday. 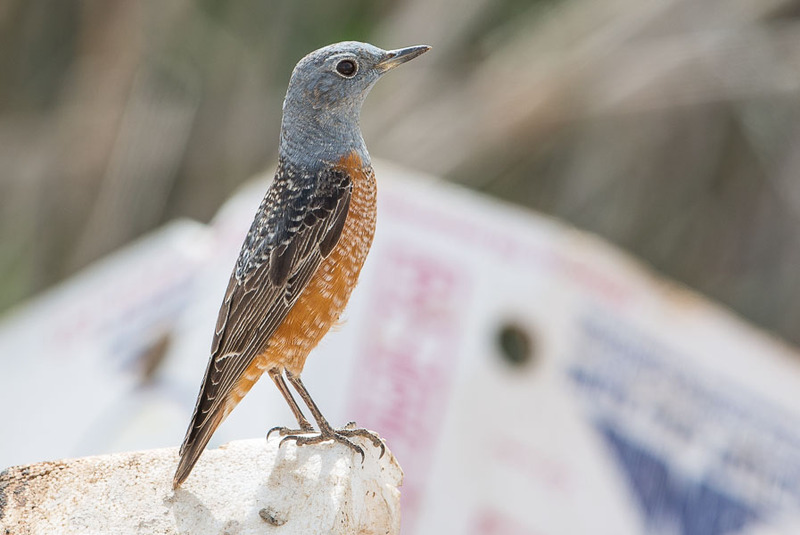 Probably the best of the colourful birds seen was a male Rufous-tailed Rock Thrush that was seen along the edge of the sabkha. 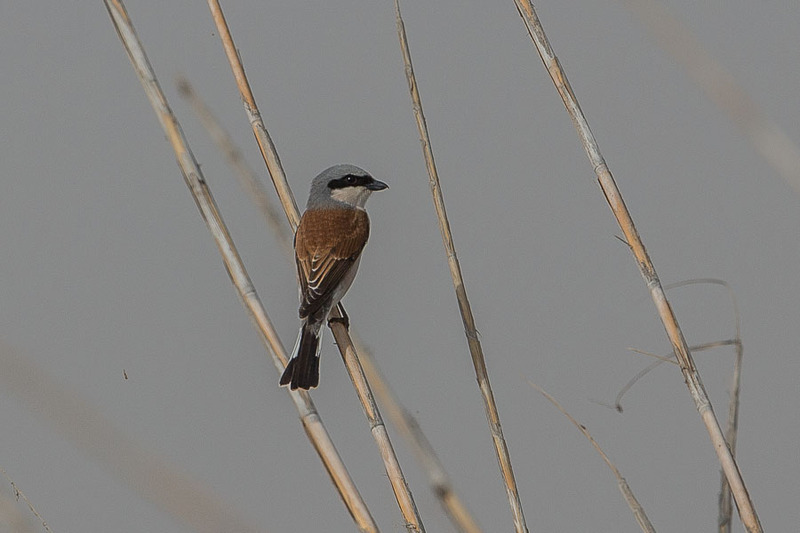 This was the first time I have seen the species at Sabkhat Al Fasl and was also a first for Phil who has been birding here for a lot longer than I have, indicating it is not usual here. Unfortunately the bird chose a mound of illegally dumped building rubbish to perch on so the photos are not as aesthetically pleasing as the could be.